What is a green wedding? If you answered kelly green, just… no. We’re talking about the eco-friendly and sustainable kind of green. Going green for your wedding is easier than ever since it’s a widely acceptable and popular theme. With its environmental and economic benefits, brides far and wide are whole-heartedly embracing this theme. 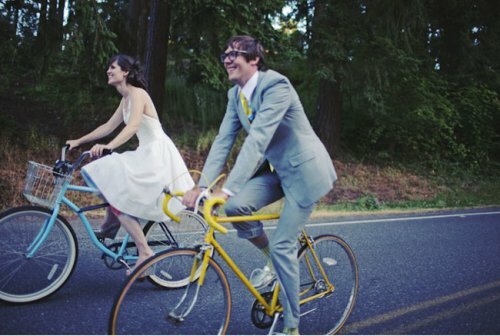 Interested in hosting your own sustainable green wedding? Get started now with these five ideas. 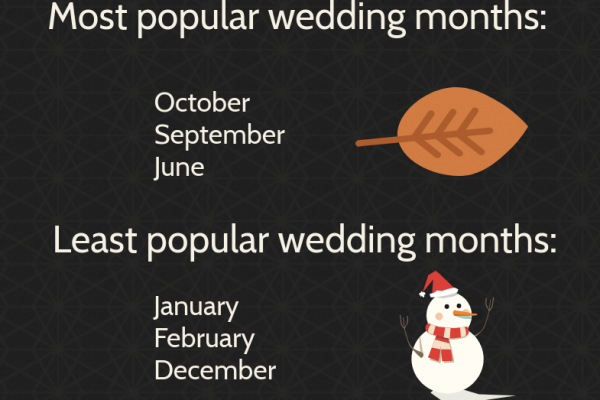 An easy way to access this theme is byway of wedding attire. Consider a used wedding dress *gasps*! We know… “used dress?”, but really, why not?! You can find a great wedding dress that’s likely only been used once – if at all – at a very budget friendly price. From the environmental perspective, think of the excess waste that you’ll be reducing. It’s a win win! 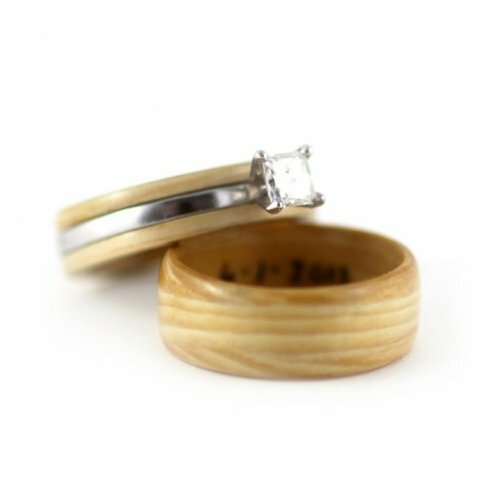 If you’re super committed to the idea of sustainability, then consider environmentally conscious rings. Rather than dropping some serious dough on diamonds and platinum, opt for an eco-conscious jeweler that uses recycled stones, wood, and metal to create beautiful pieces of jewelry. Family heirlooms and antique finds can be equally as gorgeous while yielding a high sentimental value as well. When talking about sustainability, paper has to make the cut. 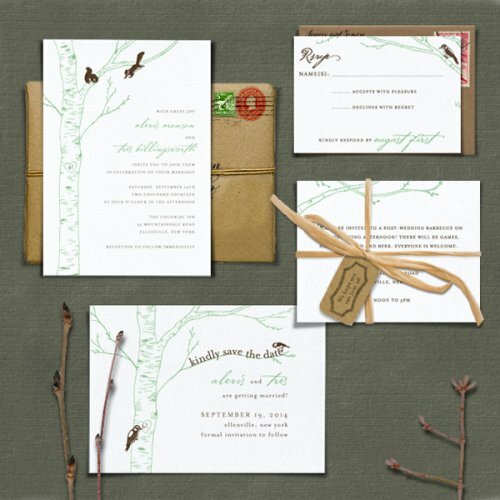 A typical wedding will use paper goods for save-the-dates, invitations, RSVP cards, seating programs, menu cards, seating cards, thank you cards, the list goes on and on. So take this opportunity to introduce recycled paper material into the mix. With green weddings as commonplace as they are these days, finding pretty and well-designed recycled paper products is simpler than ever. 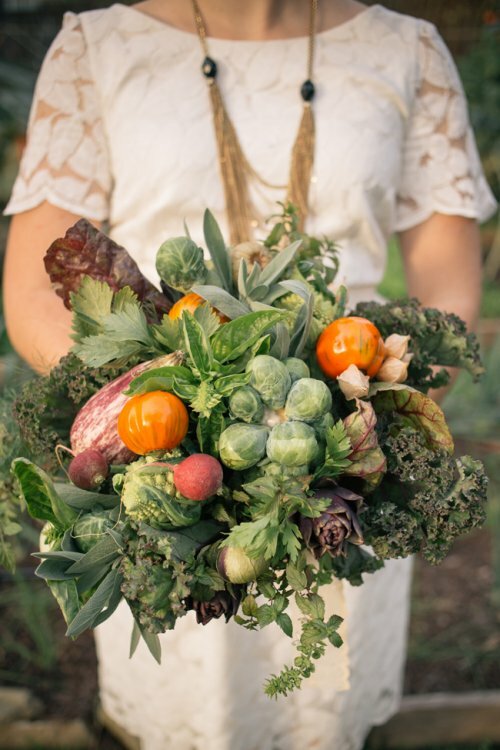 Food and flowers are both are seasonal, harvest items – they also happen to be two of the biggest wedding expenses. The best way to go green in this area is to source locally. When working with local vendors, you’re more likely to achieve fresher and tastier results. 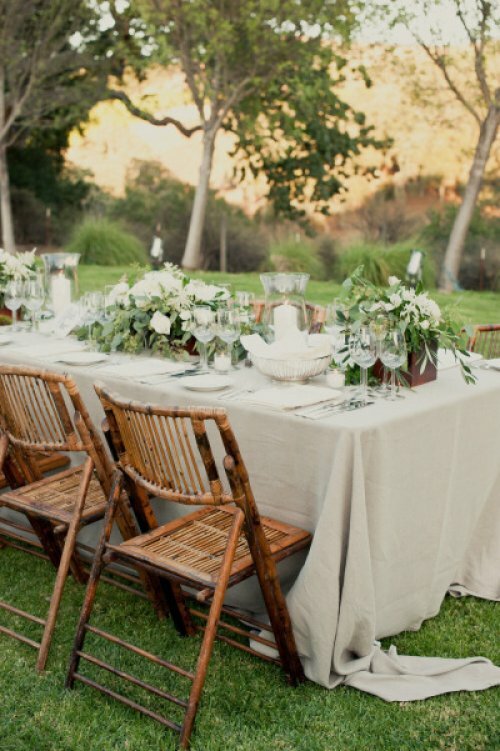 When choosing your caterer, ask for as much local, organic, and seasonal food offerings as possible. This way you’ll reduce your carbon footprint by eliminating shipping pollution and pesticide use. Many flowers that are shipped in for a wedding aren’t as fresh and are laden with pesticides. By going the local route, you’ll rest easier knowing that your flowers are fresh and amazing smelling. When going the green wedding route, decorate accordingly with sustainable and nature inspired accessories. Try serving up a wood/nature decorated cake, hand out plantable favors, and use plant-based centerpieces. When it comes to décor, definitely try to have as much fun as possible with this theme. With so many recyclable products, nature inspirations, and rustic trends available, your creativity is going to have a sustainable heyday. A huge component of being green is to reduce pollution. When it comes to your wedding, you too can offer a pollution reducing option to guests. For example, when choosing a venue, opt for a convenient, middle ground location. 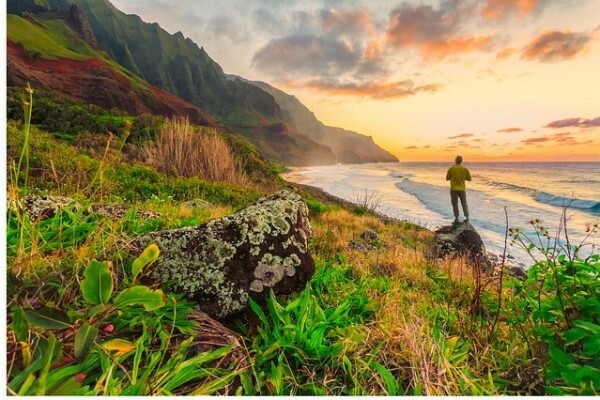 The less travel required of guests, the less the combined carbon footprint. Another fun idea is to offer bikes and shuttles for guests to get from point A to point B. Not only are these options more environmentally friendly, they also reduce drunk driving worries.